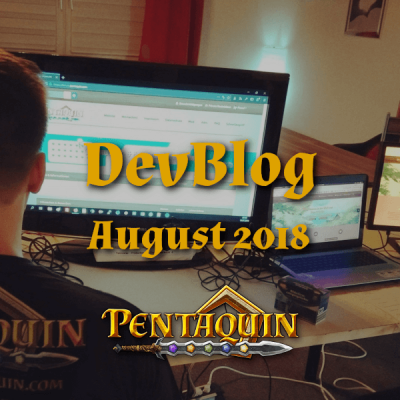 We’ve been already writing our blog for a few weeks now, describing our daily work in the form of the so called developer diaries – only in German language, until now! This is our first developer diary translated into English, and we hope you’ll enjoy it. 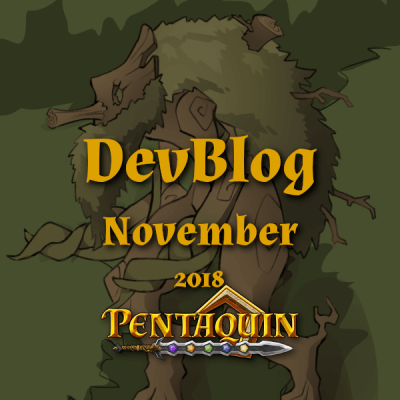 Pentaquin is an action-based 2D MMORPG – a massive multiplayer role playing game, written in Java, based on LWJGL and OpenGL. We want to release it on Windows, Linux and Mac OSX. We have decided to develop a new website to create a new overview about our game development project and our game itself, in order to for inform our potential players about our progress developing the game, and to find new developers* for our action-based 2D MMORPG. We will link our new website to our forum – one of our main communication platforms. Our web developers already created a whole new design for this new website, which will help us being able to keep you up-to-date about our project, game development, team, new features and much more. Later on, you will also be able to download the Pentaquin game client there. 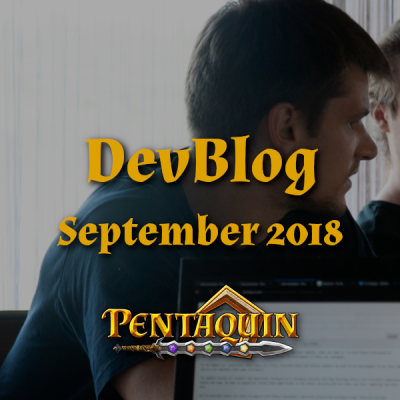 We have developed many new features and fixes for Pentaquin during the last 2 months, for example, we have implemented our server systems so that both our login and session servers went online – and have fixed many bugs in our input system. We have also improved the player control mechanism, you can also control your player character using the WASD keys now and walk in diagonal directions. Additionally, we have added multi threading support for our client to reach a better performance. Our deployment was extended and supports the deployment of zip archives now – so that our team, including non programmers, can test our game easier. Pentaquin’s game designers / content team and software developers have improved some user experience, e.q. we have adjusted the movement speed of the player’s characters. Now we evaluate new concepts of animation and shadowing and want to implement them in next time. Therefore, we have added some new stencilbuffers and also our GUI – graphical user interface – work in progress. 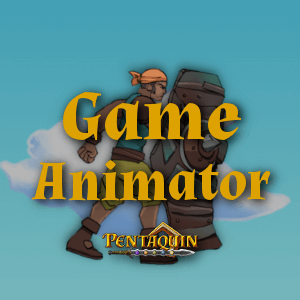 Our 2D graphics and animation artists have created some new tilesets and animations for the player’s characters and non playable characters – so called NPCs. Considering our requirements animations are currently a great problem – we planned to give our player’s the possibility to change clothes and support many types of different wearable items and weapons – so they have also be animated together, leading to the problem that we have to combine them all together to save much time of work. 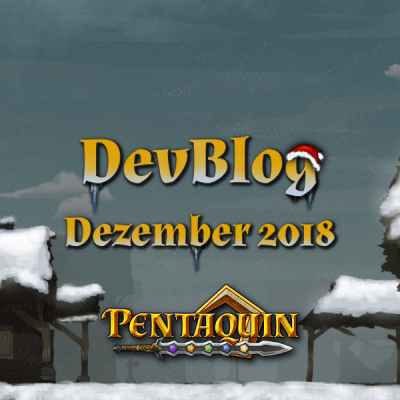 For example: If Pentaquin supports 5 character types with 10 clothes and 50 different weapons, each havingat least 8 Frames per second – this will result in 2500 * 8 frames without combination! Also our requirements regarding flexibility and performance are quite high, so it’s not an easy job to develop an animation system considering those high requirements. 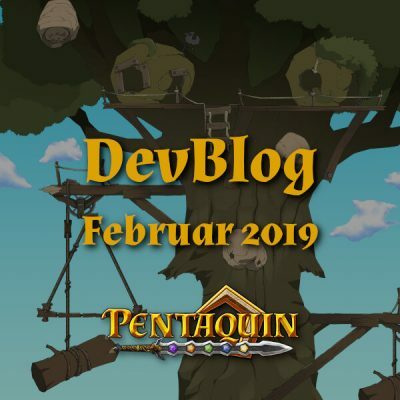 Unfortunately, Pentaquin is currently only developed in german for the time being – but we are thinking about an english version, our client does also have multi language support yet. But translating allquest texts will be a high load of work – the release of an english version of pentaquin will happen much later than the original german version. 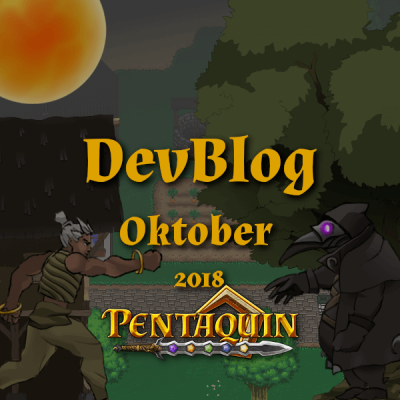 All in all,upporting the Pentaquin project as non german speaker can be very difficult – but you can also help us to make pentaquin a little bit better! Give us feedback about what we do and how we do it, comment on our work! We’d also be happy about a few new followers on our social media channels, including Facebook, Twitter, Google+ and YouTube. 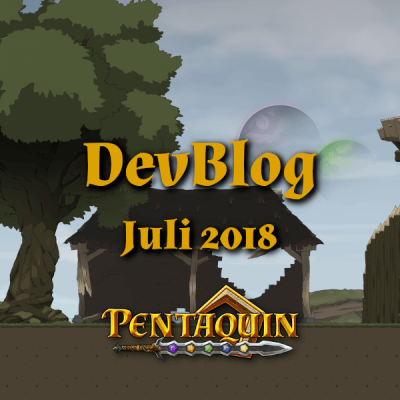 It would be great to recieve some donations, too: We have to rent some servers to develop, deploy and run our website and the Pentaquin GameServer itself, so we are dependent of donations. Be attended! – We cannot promise anything yet, unfortunately! – We can also not guarantee to support an english version later! But you will support the pentaquin project and we are happy about every donator, since Pentaquin is a nonprofit project!